Manuscript mounted on pasteboard and dissected. Presented by Art Fund jointly to the V&A Museum of Childhood and the Historic Royal Palaces. 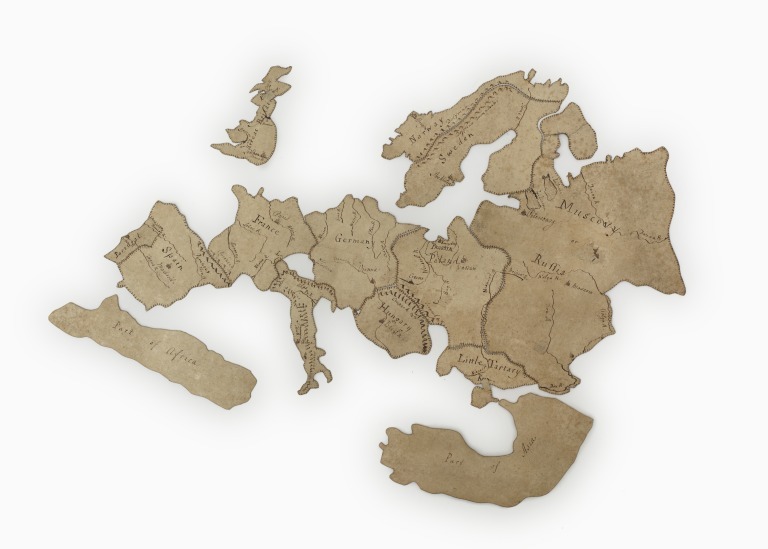 This dissected map of Europe was possibly drawn, cut and mounted by Lady Charlotte Finch. It has been marked with coasts, political borders, mountains, capital cities, rivers and some lakes. A few topographical details have also been drawn in place. It was held in Lady Charlotte Finch's puzzle cabinet, in which she kept the dissected map puzzles she had commissioned for the children of George III, in her role as Royal Governess. 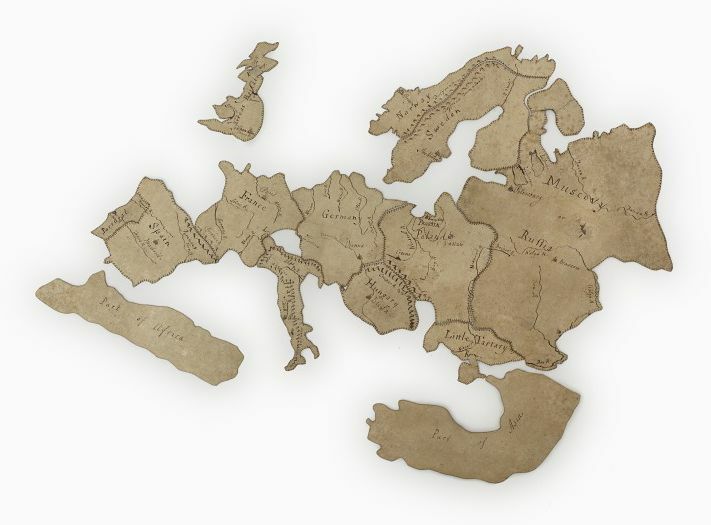 Manuscript dissection puzzle of Europe, from 1750s, mounted on pasteboard and cut to shape in 14 pieces. 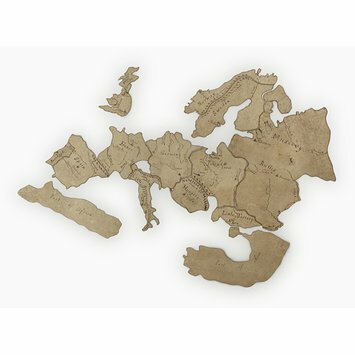 Manuscript dissection puzzle of Europe, 1760s, mounted on pasteboard, from Lady Charlotte Finch's puzzle cabinet.